Montblanc has unveiled a new boutique at The Gardens Mall recently, which takes inspiration from its reputation of “Maison of Fine Lifetime Companions”. Spanning across 654 sq ft, the boutique mixes contemporary and classical interior elements dominated by black and white colour, as well as wood textures. Designed by French interior designer Duchaufour-Lawrance, it is imbued by three themes – which are also the core elements of Montblanc’s identity – namely the cursive handwriting, the Montblanc emblem and the passion for craftsmanship. Toying with mineral hardness and the ultra-soft lines of organic materials, the boutique is bedecked in bronze-sheen brass, leather and wood reflecting the elements of watchmaking. The brand showcases its leather goods expertise through the use of black leather and walnut wood in its interiors, while the lacquers and fine metals represent its writing instruments and jewellery. 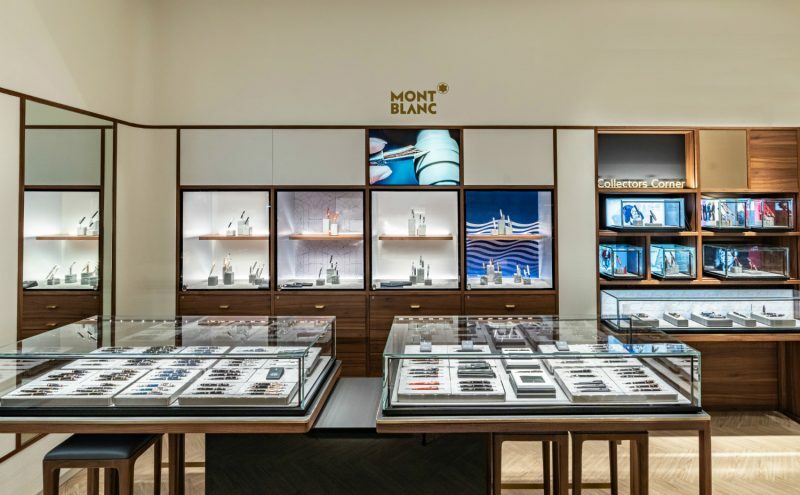 Aside from the luxury interior design and spectacular product display, Montblanc also elevates the customer experience by providing more interaction with the set-up of Manufacture Bar. At the Manufacture Bar, the customers can learn about the German brand through the explanation of product experts and testing of all types of writing instruments. Additionally, digital enthusiasts can get their hand on the latest Augmented Paper editions to study the art of writing. In the Leather Atelier, the focus is on a “touch and feel” experience, where Montblanc’s expertise, know-how, creativity and collections are revealed through the senses. 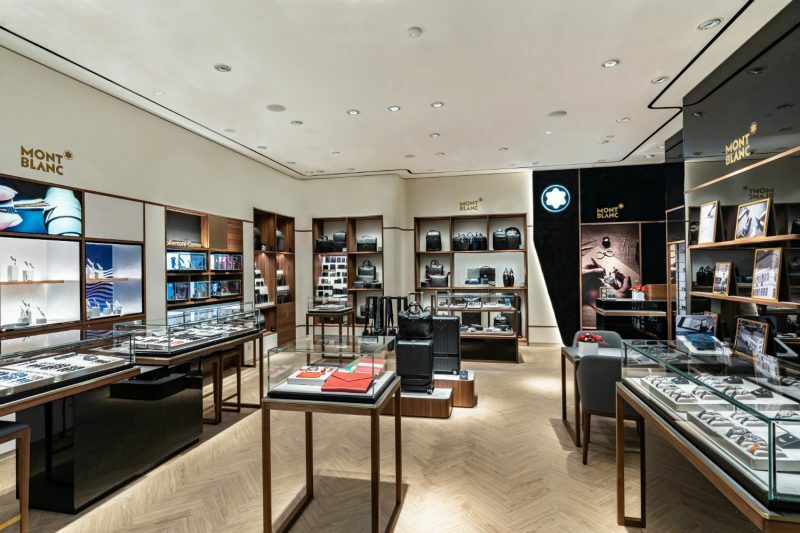 The new Montblanc boutique is located at G-236, Ground Floor in The Gardens Mall. For more information about Montblanc, visit here.